The biggest theme is that families that stay together and allow their talents to shine are the strongest. Additional themes include communication and perseverance. Other issues thoughtfully explored through the characters include self-identity, marital restlessness, family dynamics, responsibility to help others, and teen angst. Many, many scenes of intense and sustained, but not bloody, violence. A host of weapons, from handguns to explosives to lasers, are used in various battles between villains and superheroes. Bullets whiz by, cars explode, buildings collapse. Skeletons of killed superheroes are shown, and references are made to superheroes who've died in various ways. Mr. 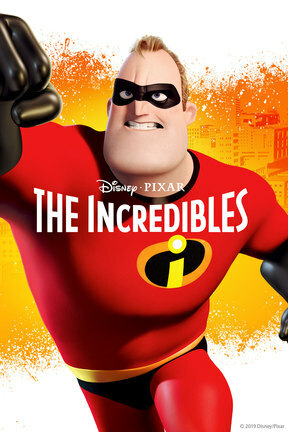 Incredible believes his family has been killed in an explosion, and the family comes near death many times. Hand-to-hand fights are also portrayed, and characters punch and push each other. A man tries to commit suicide by jumping off a building. Mr. Incredible saves him, but then is taken to court where they talk about how the man should be allowed to kill himself. Overall, the body count and general violence is much higher than in most comparable animated adventures. A long-term couple kisses several times, flirts, pinches each other on the bum, and acts passionately in love. Elastigirl thinks that Mr. Incredible is cheating on her, but he isn't. Teens have a crushes. Mirage's outfits highlight her cleavage. Elastigirl wears a skintight costume. Syndrome makes a racy comment: "You married Elastigirl and got busy?" A few exclamations of "oh my God! ", "what the...", and "Jeez." Nothing in the movie; tons of licensing/merchandising tie-ins in real life -- toys, games, books, clothes, and much more. Characters have (or are offered) wine, champagne, and a mimosa. Edna smokes an old-fashioned, long-stemmed cigarette.